In February 2016, the song "Objects In The Mirror" was released in the UK. 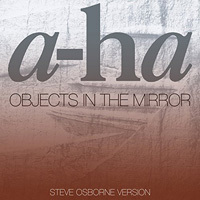 The cover artwork is textured white to bronze to toned with a large grey a-ha logo and title at the top. "STEVE OSBORNE VERSION" is printed in white at the bottom. The "Steve Osborne Version" (3:54) was available for download and on a one track promo. The promo from Benelux comes in a jewelcase with a paper insert featuring the regular artwork. The inside of the insert is white with black text and a picture of the "Cast In Steel" album. 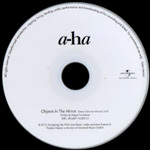 The disc is white with black text.